The recent COPD Crowdshaped event brought together a diverse group to generate new ideas that go ‘beyond the medicine’ and help people with the chronic, debilitating condition. Though life begins and ends with a breath, few of us spend much time thinking about breathing in the interim. Until we have to or, like people with Chronic Obstructive Pulmonary Disease (COPD), we are forced to because we simply can’t catch our breath. Nearly 300 million people worldwide live with COPD and it is the third leading cause of death globally – yet few people have ever heard of the disease. Compared to cancer (or even ALS, thanks to last summer’s Ice Bucket Challenge), COPD is virtually unknown. COPD most often occurs in people over 40 who have a history of smoking, though a smaller number of cases are caused by exposure to harmful pollutants in the workplace, or by an inherited genetic condition, Alpha-1 Antitrypsin Deficiency (AATD). The burden of disease is huge, both in terms of numbers of people affected, and on the lives of individual patients and their loved ones. COPD patients become increasingly breathless when active, suffer from a persistent cough with phlegm, and experience frequent chest infections. Life becomes untenable for people with COPD as their lives and their livelihoods deteriorate along with their lung capacity. Patients talk about the fear, isolation and helplessness that accompany the progression of the disease. Leaving the house to go to work or simply to run an errand feels like preparing for a major expedition. Commonplace tasks like showering and brushing teeth become insurmountable hurdles. While there are a range of existing treatments available and innovative new therapies are in development, we are still a long way from a cure for COPD. In the meantime, most patients are poorly controlled and suffer from repeated exacerbations and increasing breathlessness as the disease progresses. So how can we make life better for people with COPD? The ideas of ‘crowdsourcing’ and ‘open innovation’ have become popular in recent years, and make use of input from lots of different people with diverse perspectives and expertise to generate solutions to longstanding problems in all walks of life. Similar to the ‘hackathon’ idea, crowdsourcing attempts to crack old problems which have appeared impossible to solve, applying a healthy disregard for old boundaries and assumptions. Built on these principles, ‘COPD Crowdshaped’ was held in San Francisco on 2-3 June, and convened experts and leaders from a range of disciplines and experience. The event was organised by Novartis Pharmaceuticals, in collaboration with the COPD Foundation – making it a first-of-a-kind event for a pharma company – and coordinated by Health Unlimited. Entrepreneurs, designers, strategists, psychologists, digital technologists, engineers, writers and futurists were challenged to collaborate on generating solutions which could enhance the lives of people living with COPD. I was privileged to be among those invited to take part, and to explore options for COPD patients ‘beyond the medicine’. Over two days, we learned about COPD, heard heart-wrenching stories from people living with the disease, and were then tasked with applying our diverse perspectives to solve issues that plague COPD patients. • A network of HomeHacks who can retrofit patients’ homes to better serve particular needs and challenges. All of the ideas were published on the COPD Foundation’s online community, COPD360social.org, and then vetted and voted on by the broader COPD community. Building on the success of COPD360social, one team suggested an amplification of the existing online community to help connect like-minded and geographically proximate people with COPD, both on and offline. It remains to be seen what will come of the ideas and enthusiasm generated by this event, but there are already plans to take the work forward. The COPD Foundation has committed to present a demo of one project at the European Respiratory Society (ERS) meeting in September. Novartis has also committed to funding a hackathon for better breathing in the morning to coincide with the ERS congress, and most of the remaining ideas found champions at the meeting who have pledged to develop them. What was clear from the event was the great unmet need of people suffering with COPD and the willingness of all participants, Novartis particularly, to collaborate, to innovate, to resource and openly discuss ideas that will, hopefully, one day benefit patients. Traditionally, pharma has focused on the point in time when people become ill. But, as the role of pharma within the broader healthcare continuum evolves, can and should this open source model of innovation be applied to other diseases? To conducting clinical trials? To drug discovery and development in general? 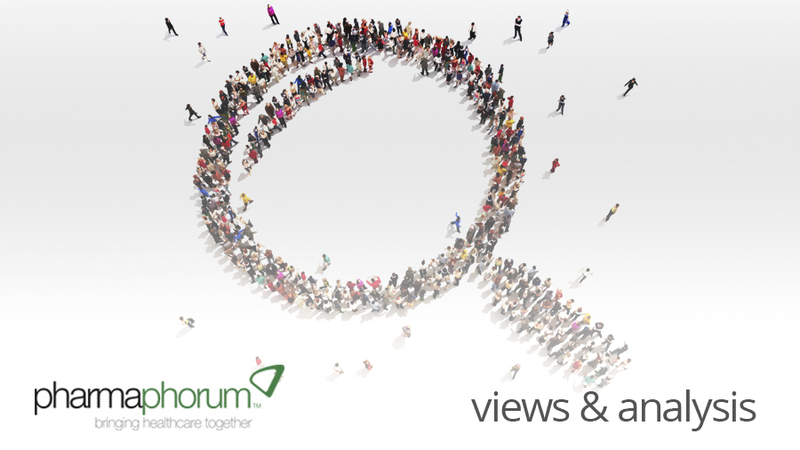 Based on my experience at COPD Crowdshaped, I would suggest it is the only way forward. 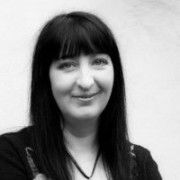 Andrea Conners is Media Services Director for pharmaphorum media in the United States. Prior to joining pharmaphorum, Andrea was Head of External R&D Communications at AstraZeneca (AZ) Pharmaceuticals based in London. This role marked the culmination of nearly 10 years in global communications at AZ in the US and UK. Prior to that, she held corporate communication roles of increasing responsibility at Millennium Pharmaceuticals in Cambridge, MA.